Reproducing the wood carving statue of Our Lady of Lourdes during the apparition to Bernadette. 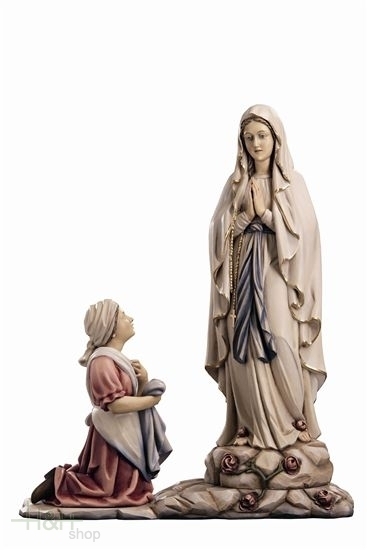 This sculpture of appearance of Our Lady of Lourdes is made of wood with gold trim. 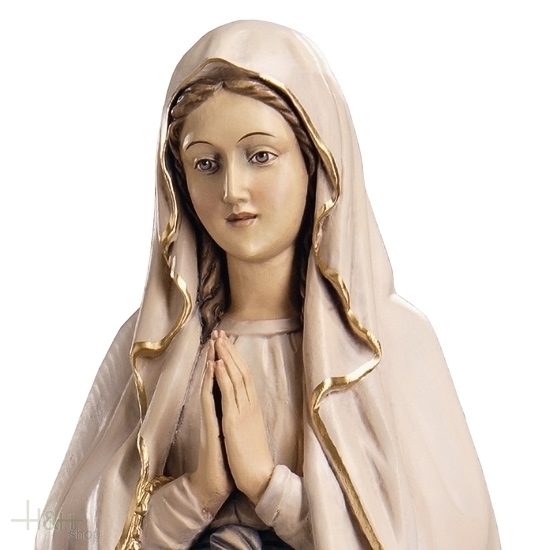 The statue of the Mother of God is reproduced with the clothes and the colors transmitted by tradition. In fact, the Madonna is reproduced with the white dress with the belt color in blue and the crown of the rosary in his hand. 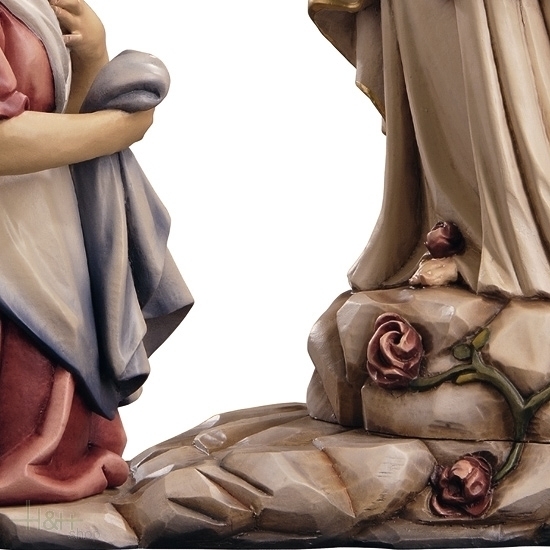 At the foot of the virgin, the artist has also sculpted red roses. The reproduction of Bernadette follows the tradition. Bernadette is in fact played with the typical clothes of the shepherds of late XIX with cap for the hair and wearing apron. 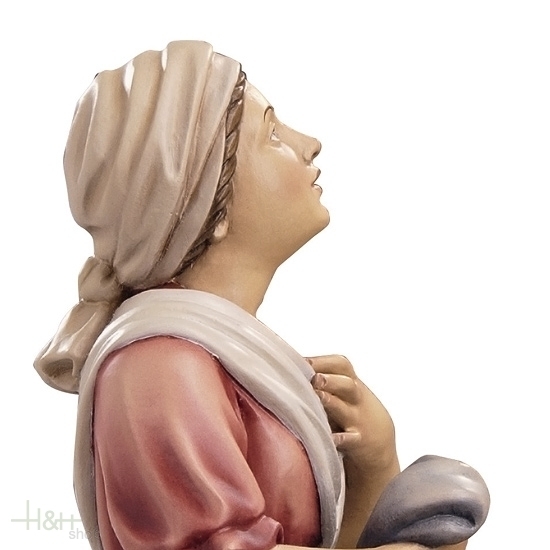 The wood carved sculpture of Bernadette is reproduced kneeling at the feet of the Virgin in an attitude of prayer.